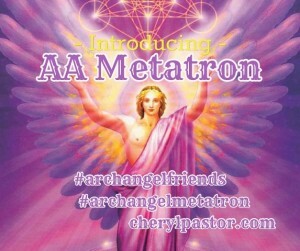 Archangel Metatron works with the Indigo, Crystal, and Rainbow children. But just who are these special children that are on the physical plane? What is the difference between Indigo and Crystal children? Is there a difference? And who are the Rainbow children? Where do they fit in? We have been blessed with these “gifted” or “Star Children” and much of the time, don’t even realize it. They come at this time with “special mission” to assist Earth and humanity with our transition and rebirth to a higher consciousness. They are here to help us with ascension; an accelerated soul evolution for the earth and its inhabitants at this special time on earth. “The terms “Indigo,” “Crystal” and “Rainbow” were given to these three generations, because they most accurately describe their aura colors and energy patterns. Indigo Children have a lot of indigo blue in their auras. This is the color of the “third eye chakra,” which is an energy center inside the head located between the two eyebrows. This chakra regulates clairvoyance, or the ability to see energy, visions and spirits. 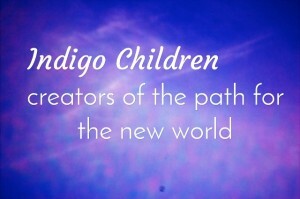 Many of the Indigo Children are clairvoyant. 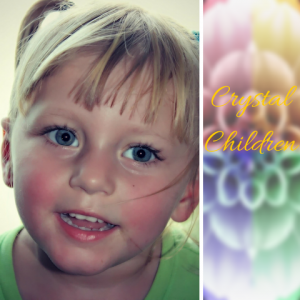 The Crystal Children have opalescent auras, with beautiful multicolors in pastel hues. This generation also shows a fascination for crystals and rocks. Indigos can be any age, but most were born in the 1970’s. They are here to re-create the fundamental ideas of government, education and our legal systems that lack integrity. To accomplish this, they generally have determination fiery determination and sometimes a bit of a temper. This can be seen as a bit bratty as a child can come into the world with a ‘I deserve to be here’ mentality. Indigos know when they’re being lied to, patronized, or manipulated. And since their purpose is to usher us into a new world of integrity, the Indigos’ inner lie detectors are crucial. A lot of Indigo’s end up being diagnosed with ADHD as they are quite sensitive and literally exist at a higher, more fast paced level. Unfortunately, when they’re medicated, Indigos often lose their beautiful sensitivity, spiritual gifts and warrior energy. They share some characteristics with the Crystal Children. Both generations are highly sensitive and psychic, and have important life purposes. The main difference is their temperament. Crystal Children are the contrast to the Indigo’s. After the new ways of life have been established, the Crystal’s come in to act in harmony with the world. The Crystal Children follow the cleared path, into a safer and more secure world. The Crystal Children are blissful and even-tempered. They may have tantrums occasionally, but these children are largely forgiving and easy-going. This is a generation of new lightworkers, roughly ages 0 through 7. Crystal Children’s heart chakra is wide open. They are very sensitive and empathetic. Because of this heightened sensitivity, they constantly need love and protection. A lot of them hold innate spiritual gifts can be easily misunderstood. A lot of people diagnosed with severe autism are Crystal children. Many of the Crystal Children have delayed speech patterns, and it’s not uncommon for them to wait until they’re 3 or 4 years old to begin speaking. They are operating at a much higher frequency that doesn’t require verbal communication so we assume they are just autistic or misunderstood. What is really happening is much deeper. They are incredibly intuitive and communicate on level that can only be reached when we’re in alignment with ourselves. According to Doreen Virtue, “the first thing that most people notice about them is their eyes—large, penetrating and wise beyond their years. The Crystal Children’s eyes lock on and hypnotize you, while you realize your soul is being laid bare for these children to see. Crystal Children are the pointers for where humanity is headed. And now, the fearless Rainbow Children are pure givers ready to fulfill our needs. 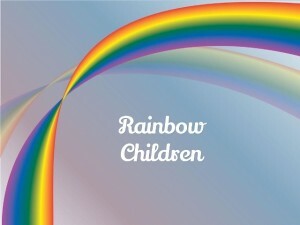 Rainbow Children are the highest example of our true potential. They are the embodiment of true divinity. They are about service to others as giving is their chosen path. In that way, they are at the height of their ‘spiritual peak’ because of their duties to help. The Rainbow Children have never lived on this planet before, and they’re going straight to the Crystal Children as their moms and dads. They are fearless and have no trouble expressing their emotions. They are able to generally recover from the state of negative emotions quickly. Out of all the types, The Rainbow Children are supposedly quite rare. There’s not as much information on them because they are still being born and will show their abilities when the world needs it most. The purpose of the Rainbow children is to complete the final stages of the foundation that the Indigo and Crystal children have made. P.S. I’d love to hear if you know any Indigo, Crystal, or Rainbow Children. Are you one or do you have one in your family? Please comment below and let me know. 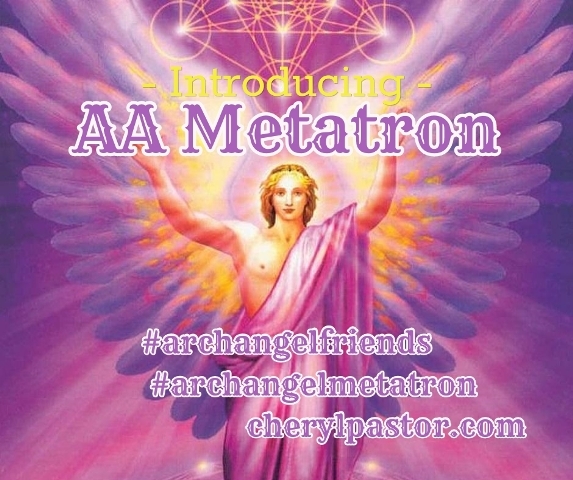 Be sure to LIKE my Facebook page, www.facebook.com/cherylpastorintuitive to learn more about Archangel Metatron and the other Archangels.